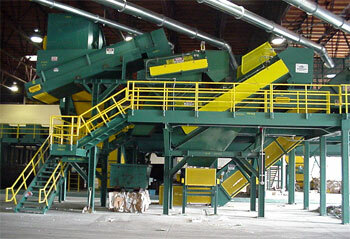 DeHart Recycling Equipment offers customized conveyor systems for every recycling application. 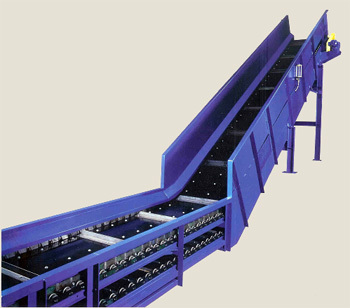 We design, manufacture and integrate slider bed and chain-drive conveyors. Whether a light-duty mobile feed or transfer conveyor, a heavy-duty baler or shredder feed conveyor or complete material recovery system, we can provide a solution to your needs. Our knowledgeable sales and engineering specialists can assist with sizing and configuring conveyors to optimize your operation. Small mobile conveyors are an economical fit for conveying light metal, plastic or other materials. 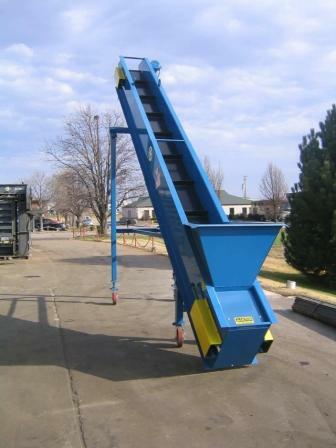 These conveyors are ideally suited for loading small crushers or flatteners. Standard pre-engineered designs and quick deliveries are available. A heavy duty slider bed is needed for applications that require heavy loading of paper, plastic, and metals. These machines are ideal for feeding and discharging balers, shredders and other processing equipment. Heavy duty slider bed conveyors will accept bulk load materials from truck, bobcat or tipper. They can be configured with an above ground or in-floor feed. Slider bed conveyors are engineered for minimal maintenance and a long operational life. 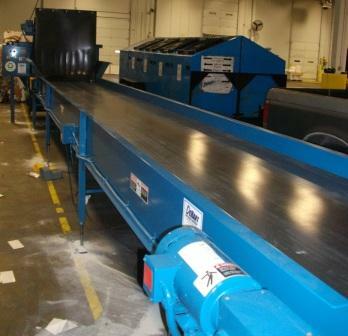 Sorting conveyors provide an affordable and convenient method for sorting and processing a wide range of recyclables. Simply feed various materials onto the conveyor belt (optional hydraulic lift available for dumping containers) and use the pull-cord or foot operated switches to control the belt feed. Our sorting conveyors increase worker productivity and improve ouput quality. Sort conveyors are built with field-proven quality. An optional stainless steel section is available for use with a magnetic cross-belt magnet. We proudly sell, install and service Hustler chain drive rubber and steel belt conveyors, sort conveyors and material recovery systems. 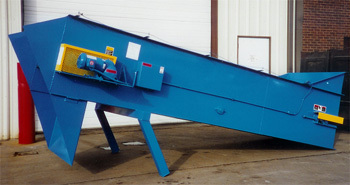 Hustler engineers and builds the best and heaviest conveyors for the recycling industry - hands down. From top to bottom, they put more into their equipment, so you can get more out of it. Hustler conveyors are loaded with features to enhance performance, maintenance and useful life. For processing residential or commercial material streams, construction & demolition debris, or unique product mixes, we have years of experience engineering, building and installing complete processing systems. From simple manual sort conveyors & platforms to sophisticated operations incorporating the newest mechanical technologies, we can provide a highly efficient solution tailored to your application.